After the Montana Supreme Court ruled that the state Land Board has no authority over Fish, Wildlife & Parks easements, legislators are pushing back with a bill that would create that authority. 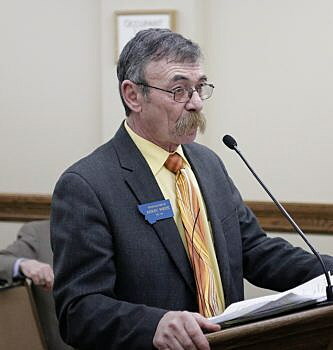 Rep. Kerry White’s bill, House Bill 265, would give the five-member Land Board authority to overturn FWP Commission approval of conservation easements larger than 100 acres or which cost more than $100,000. The land board includes Gov. Steve Bullock, Attorney General Tim Fox, Secretary of State Corey Stapleton, Auditor Matt Rosendale and Superintendent of Public Instruction Elsie Arntzen. However, three of the bill’s 11 opponents said they have firsthand experience with why the Land Board shouldn’t be given that authority. Their proposed conservation easement was at the heart of a six-month battle between the governor and the board. “Our long and ugly journey with the Land Board began in this building almost a year ago. We vowed that we’d do whatever we could to save any other landowner from enduring that arbitrary and potentially devastating process. We implore you to choose fair process for private property owners over added bureaucracy from the Land Board,” said a shaky Mary Adelle Stenson, a Wibaux schoolteacher and co-owner of the Horse Creek Ranch. Stenson’s grown daughters, Skylar and Jessica, accompanied her. The three women testified that the Stensons had long debated putting a conservation easement on their ranch. They chose to do so in order to finance the operation, so they could keep it for the next generation. As they were trying meet the timing of various land deals after the FWP Commission approved the $6.15 million easement, the Land Board voted in March to defer consideration of the easement indefinitely. As weeks ticked by, agreements started to falter. In June, Gov. Steve Bullock stepped in to approve the easement. “It was awfully discouraging for our family to have the decision about the future of our ranch described in such a cavalier way. It never seemed as if the dissenting members of the Land Board truly felt an obligation to honor our property rights or the Habitat Montana protocol,” Skylar said. On Oct. 15, at the request of Senate president Scott Sales, R-Belgrade, Fox issued a legal opinion that the Land Board could oversee FWP approval of larger conservation easements, even though the money used comes from Habitat Montana, an account funded entirely by sporting license dollars. 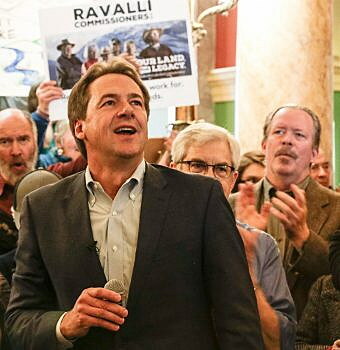 In response, Bullock asked the Montana Supreme Court for a ruling. Bullock’s legal team argued that conservation easements went through a lengthy process of a year or more before the FWP commission votes on their approval. FWP easements must allow public access and have high value as wildlife habitat. Only in recent years did the FWP Commission begin forwarding conservation easement decisions to the land board as a courtesy. Based on the evidence, the high court decided on Dec. 12 that the Legislature didn’t give the Land Board authority over anything other than land purchases. The court has yet to issue its full ruling. White’s bill would create that authority. Two of the three supporters of the bill represented private property rights groups that oppose conservation easements: Property Owners of Montana and Citizens for Balanced Use. White is the executive director of CBU. The third was William Selph, Stapleton’s Land Board policy advisor. Former UPOM policy director Chuck Denowh said HB 265 is about transparency. “The power to allocate millions of dollars of public funds to an individual or group of individuals should not reside in one elected official. This invites corruption or at least the appearance of corruption,” Denowh said. The governor appoints the five members of the FWP Commission, so Denowh said they don’t provide unbiased oversight. However, the state Senate must confirm all FWP commissioners, and during the 2017 session it rejected two of the governor’s appointees. Opponents of the bill included representatives of sportsmen’s groups, land trusts and FWP. Many said sportsmen’s opinions should play a large role in land or easements bought with Habitat Montana money, and that’s where the FWP Commission comes in. HB265 would create a more politicized bureaucratic process that reduced sportsmen’s input and would make a lengthy process even longer, opponents said. Whitney Tawney of Montana Conservation Voters said landowners need the option of conservation easements to bolster their finances, because agricultural lands are increasingly under development pressure in Montana. “HB 265 complicates a process that is already working,” Tawney said. During his closing, White said he wants more eyes on anything involving public funds. The committee has yet to vote on HB 265.